Sometimes a Lesson is Learned the Hard Way – Uniquely Yours… or Mine! I’m exhausted and quite disappointed too! The show I participated in this Saturday turned out to be very unsuccessful for me, but I think was pretty successful in general… Most people were looking for Holiday gifts or decorative items, which as you know is not my “thing”. I did however sell some small items, silver pieces, glittered pinecones etc. I also sold the beautiful round French table to a wonderful couple who was actually on their way to the gym and decided to stop… lucky me! Now that I got that off of my chest I also wanted to say a BIG thank all of my followers, friends, neighbors and relatives who stopped by to say “hi” and shopped at all of the booths… some for themselves… some for others! My daughters bought some jewelry at one of the inside vendor’s booths so they were quite happy… and I got to try some crepe’s from Monique’s Mobile Crepes. Have you even heard of such a thing as a mobile crepe truck? OMG!!! Let me tell you those crepes were fabulous, my favorite was the “Nice Pear” which had whipped goat cheese in it! I think I’m going to try to beg her to come to my neighborhood one weekend morning, I would TOTALLY stand in line in my PJ’s with a cup of coffee and patiently wait my turn for sure! Or maybe I can convince her to play music over a loud-speaker and drive around the neighborhood like the ice cream truck… how AWESOME would that be! I totally forgot to take pictures of my booth… but this is what the inside of my garage looks like now… It’s so sad! I’m hosting Thanksgiving and cannot put ANY of this inside!!! Feel for me please and be thankful this is not your garage! By the way… I don’t think I will be able to live up to the promise I made my Hubby to get him space inside the garage before it gets too cold… sorry babe I feel awful about it!! I hope you all have a wonderful Thanksgiving! I’m looking forward to ours!! You live and learn. I’m so happy you sold the round table. It was too fabulous. Happy Thanksgiving, my friend. Let’s get together next week. I do shows also. So I feel your pain. I just did one lsast week that was a huge flop. But you never know who’ll you’ll meet at one.good luck to you, I love your stuff! You just never know, every sale is totally different. But please don’t be discouraged, your pieces are beautiful! … Have a wonderful Thanksgiving! 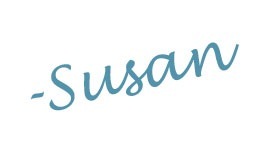 I’m so sorry Susan! I’ve never done a show, but I feel ya with the garage space. We have serious limits! I hope you have a relaxing and joyful Thanksgiving!